Day 1 for E3 this year wasn’t just a large advertisement for upcoming winter titles this year instead companies showed off new content for previously announced titles, announced new games or expanded gaming networks to tablets and smartphones. The companies that held press conferences includes Microsoft, EA, Ubisoft and Sony took the stage and hit the ground running with amazement. So let’s begin. 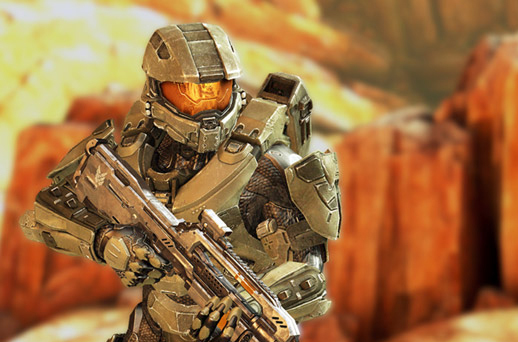 Microsoft started the day with the flagship title for their consoles – an exclusive demo – to Halo 4. Master Chief is back fighting new enemies and with a large graphical update with vibrant colors, detailed models and lighting. 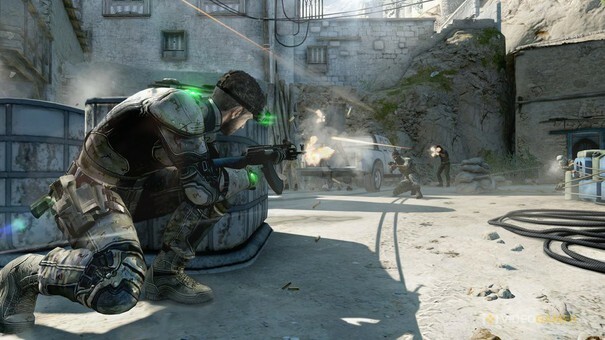 The live-demo of Splinter Cell: Blacklist brings back the multiplayer game Spies vs Mercs and Kinect support to attract a guard’s attention. The world premiere trailer to Gears of War: Judgement was shown and a trailer to Forza: Horizon. Kinect titles were shown during the conference: Fifa 13, Madden 13, Fable: The Journey, Nike + Kinect, Wreckateer and Dance Central 3. Signal Studios announced three new IPs: Ascend: New Gods, LocoCycle and Matter. After the announcements Microsoft used the remaining time to show new gameplay demos to Tomb Raider, Resident Evil 6 and South Park: The Stick of Truth. Also the Xbox 360 will be getting a web browser, a new music service called Xbox Music and SmartGlass. A cutting edge system a smartphone or tablet and shows related information while watching a movie or sports event. It will be available for the Windows Phone, iOS and Android. The press conference wrapped up with a gameplay demo of Call of Duty: Black Ops 2 and always Activision will release the DLC first on Xbox 360. 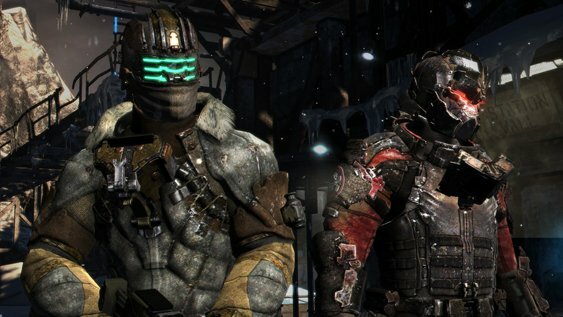 EA was next as they released their out announcements of gameplay demos of Dead Space 3 will have drop-in co-op, Criterion’s remake of the open world Need for Speed: Most Wanted, Medal of Honor: Warfighter with tier 1 operators from around the world and Crysis 3. trailers for SimCity Social for Facebook and the next SimCity. The subscription service Battlefield 3 Premium, similar to COD: Elite, it will have new maps, weapons, expansion packs and etc. Star Wars: The Old Republic will be free-to-play to level 15 with new content. EA proclaimed that they have acquired the UFC license… sorry THQ. Another silly press conference this year from but Ubisoft has the right to be unusual as they stole the show on Day 1. Ubisoft showed off gameplay demos to previously and newly announced titles: Far Cry 3, Splinter Cell: Blacklist, The Avengers: Battle for Earth, Rayman Legends, ZombiU, Just Dance 4, Shootmania, Trials Evolution, The Settlers Online, Tom Clancy’s Ghost Recon Online and a media blowout of Assassin’s Creed III. However the biggest surprise was saved for last. The show-stealer new IP Watch Dogs. Set in the not too distant future where massive data is compiled on people and cities are ran on data computers. A world where everything can be hacked. 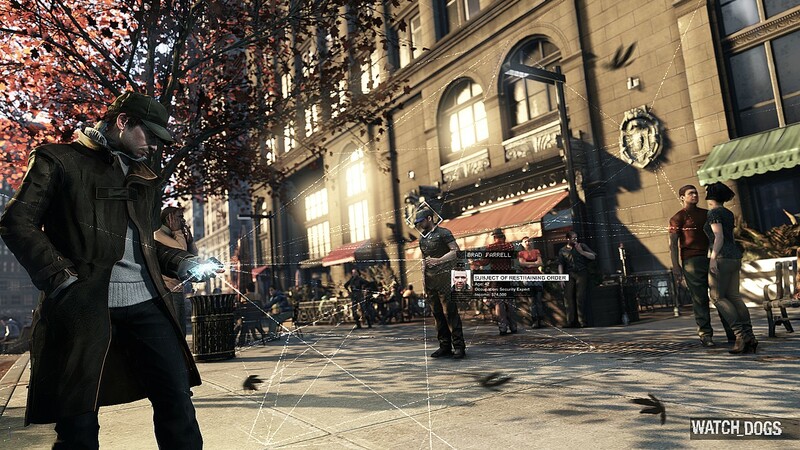 The gameplay demo showed Aiden Pearce a cyber-terrorist walk down a crowded street and jams all of the cellphones around so he can sneak into a digital gallery. After a conversation with an informant about the target Demarco, Pearce remotely hacks into Demarco’s associate’s cellphone conversation however instead of jamming he listens in the call. Each person that is highlighted their portrait, age and information appear at the bottom of the screen from single parents to college grads. He attacks a guard that tries to stop him with a nightstick and appears outside in the heavy rain. Alike the good Samaritan trailer from Epic Games a few years ago. Pearce approaches the crosswalk and hacks the streetlights causing a large accident and fires upon Demarco’s men in slow-motion. Cars are used for cover and Pearce can free-run past obstacles and kill his targets. Explosions litter the scene and cutscene of Demarco’s capture appears as he is executed in the street. The presentation then shows that another person is playing the game and the game follows a colleague tracking him. 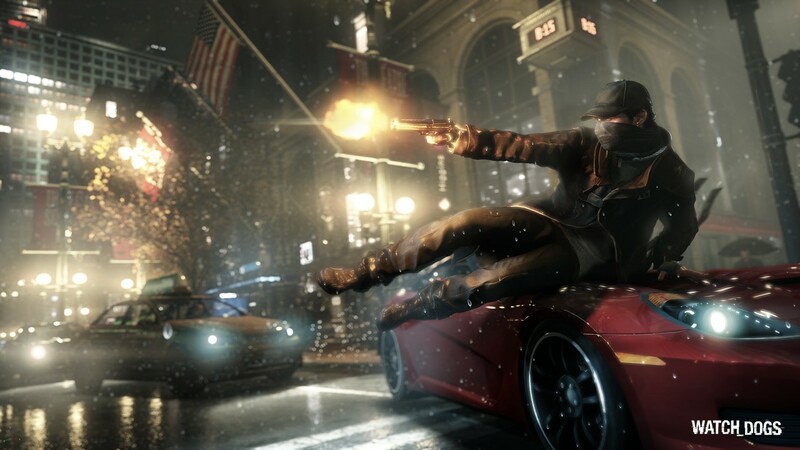 Watch Dogs is not a next-gen IP it will be available on the Xbox 360, PlayStation 3 and PC (possibly the Wii U). Call of Duty: Black Ops Declassified is coming out for the Vita. 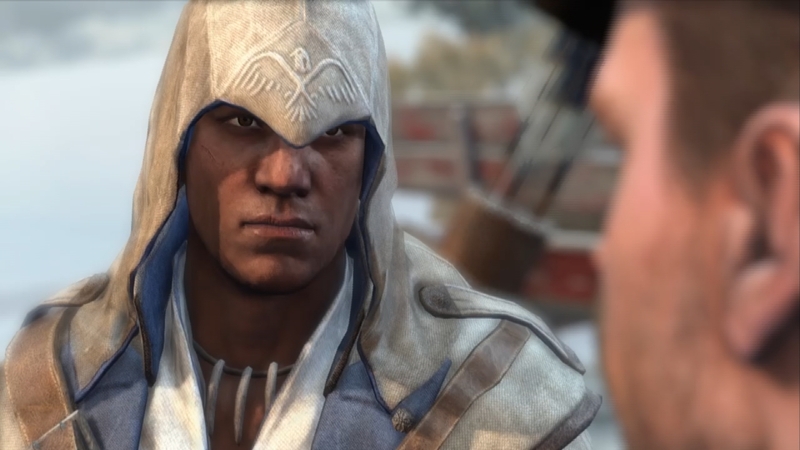 Assassin’s Creed III: Liberation is another Vita that will be bundled with the PS Vita Crystal White and Assassin’s Cred III will part of a PlayStation 3 bundle. While still on the PS Vita PS1 classics are coming to the Vita soon. Sony promised recently that they were going to add more to PlayStation Plus to attract more people and it is. PlayStation Plus users will have access to free games a month. Far Cry 3 will be going to the Vita with 4 player co-op and map editor. Sony’s next announcement was Wonderbook. An innovative tech that works with the PlayStation Eye to combine augmented-reality with interactive stories. Sony showed Book of Spells created with J.K. Rowling utilizing this technology. Stick with the tech-side PlayStation Suite is renaming to PlayStation Mobile and it will be available for HTC Phones. The last two gameplay demos were to games that were already announced but impressive to see. 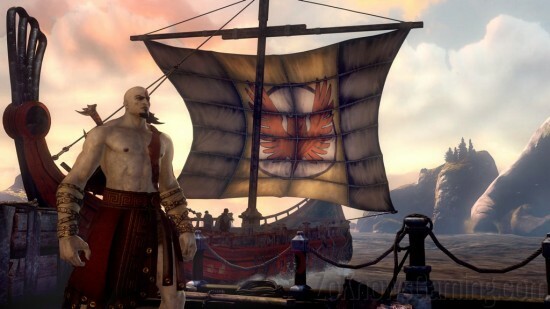 The single player campaign to God of War: Ascension showed Kratos using a variety of weapons, against all types of enemies including minotaurs and the Kraken with a release date of March 2013. 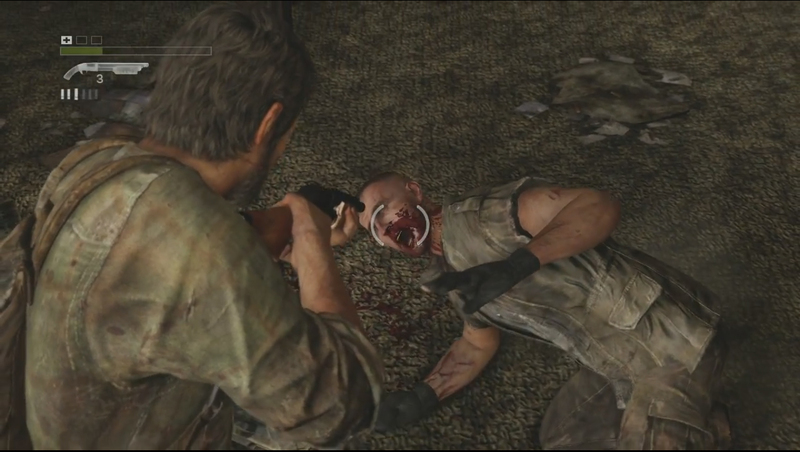 The last and closing finale for the Sony conference was another big buzz was the amazing The Last of US live demo. Featuring stealth action gameplay, gun fighting and brutal hand-to-hand combat. Heads slammed into end tables and the presentation ended with a shotgun blast to an antagonist’s head suddenly following the title screen. It was a media blow out with surprises all around the corner.